After some intense bidding at an estate auction many years ago, a co-worker became the proud owner of a box of old issues of Horticulture magazine for a final bid of one dollar. She brought the magazines in to work and offered to give me a set from any year I wanted. Every once in a while, I look through these old magazines and read an article or two to find out what gardening was like in the middle of the twentieth century. For one thing, they paid less for their gardening magazines in 1959. Mrs. John L. Pope of Acton, Indiana, whose address label is still on the cover of the magazines, paid 35 cents for an issue, four dollars for an entire year's subscription. Each issue was around 54 - 60 pages, a little over half of what we get today in Horticulture magazine. A look at the table of contents from the January issue reveals some of the topics of the day. There is a lot of advertising in the magazine, much of it from companies still in business today. Other ads are from companies long gone, or at least I don't recognize them. Of course, all of the prices were considerably less than what we pay today for our plants and seeds. You could go on a garden tour of the British Isles for $1,291, all inclusive. This was no two week tour. This was for a 41 day tour led by Prof. Chas. L. Thayer, fomer head of the Dept. of Floriculture, University of Massachusetts, sailing on the RMS Queen Elizabeth, leaving May 13. Stops included South England, Chelsea Flower Show in London, the lake country, midlands, Wales, South and North Ireland and Scotland. Unfortunately, I'm 49 years too late for this tour and besides, that is right in the middle of the peak gardening season here at May Dreams Gardens. If travel wasn't in your budget in 1959, Burpee Seeds offered a 'get acquainted' package of seven flower seed packets, a two dollar value, for just one dollar. Or for one dollar you could get three giant Ballerina begonias from the Inter-State Nurseries. There aren't too many pictures of people in these magazines from 1959 and most of the pictures are in black and white. The few people pictured are mostly in ads, and they were quite dressed up compared to how we generally dress for gardening, or anything, today. 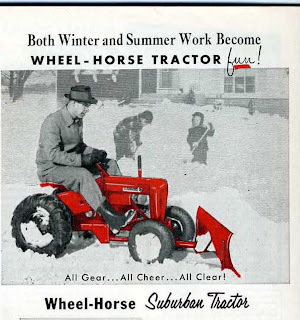 The man pictured in this ad for a garden tractor looks a little like Ward Cleaver from the TV series, "Leave it to Beaver". That's quite a nice hat. But it isn't quite as nice as the hat this 'lady gardener' is wearing in this ad. 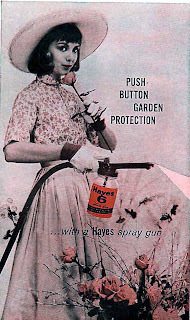 She seems quite dressed up for spraying chemicals in her garden while smelling a rose. At least she is protecting her hands with a good pair of gloves. Rachel Carson's book "Silent Spring" wasn't published until 1962, so the use of a variety of pesticides seemed more commonly accepted in the 1950's. Fortunately, or hopefully, we garden with far fewer chemicals today and women don't dress up like that to garden. 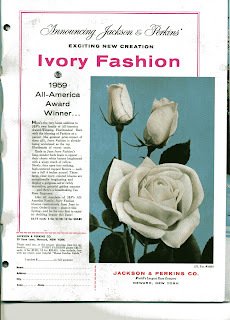 In 1959, 'Ivory Fashion' made its debut as an All-American Award winning rose. I don't believe I've ever seen or even heard of this variety of rose, advertised at the time as an "exciting new creation". At least one rose grower overseas is offering it now, "bringing it back from obscurity". It was described as a floribunda with big 4 inch flowers, ivory petals with gold stamens, fragrant, and blooming continuously to frost. You could buy one plant for $2.75 or three for $7.20 from Jackson & Perkins Co. 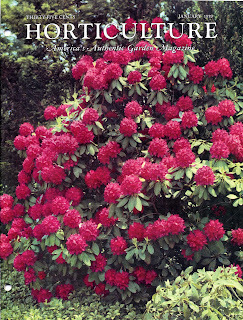 Throughout the various articles and advertisements in these issues from 1959, there are many flower varieties listed that no longer exist today, or at best would be hard to find, but the basic practices and principles of gardening still seem much the same. These quotes from some of the articles could have been written today. From January 1959, "Now...is the time! ", a list of what to do in the garden. "While cold and snow reign outside, there is much to do indoors to keep occupied, particularly if the house-plant collection is varied. There are yellow leaves to remove and faded flowers, too. Weekly inspection of the plants to catch insect pests and diseases as they appear pays off in the end, for it is simpler to keep plants healthy than to revive sickly ones." "It takes more than one tree to make a forest. The same principle is true, to a degree, in a flower garden. Whereas some plants have individual character and beauty, others are most effective in groups so that the massed color of their leaves or flowers becomes an important element in the landscape." From July 1959, "Gloxinias" by F. Wallace Patch, Framingham Centre, Mass. "If you have a dash of the creator in you (and what true gardener hasn't? 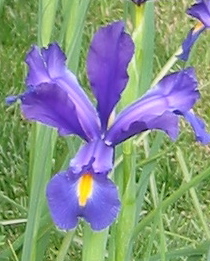 ), growing plants from seed is always more satisfying than trying for a head start with bulbs, roots, or cuttings." It's fun to look back to see 'how it was' occasionally, to remind ourselves about what is the same and what is quite different. Now I'm looking forward to this spring in my own garden, "the best one yet" at least on paper and in my mind, and hopefully in reality. This was fun. The "June Cleaver" look was popular back then but I would rather see mud soaked jeans on that lady :o) And no one mentioned native plants. Things have certainly changed. $4.00 for a year subscription for a magazine. Geezzzz. Well, now I'm inspired to be a little more formal in my gardening wardrobe. Finally, a use for all of those bridesmaid dresses and old formal gowns. My neighbors won't know what to make of me! A whole box of old gardening magazines? I'd love to flip through them, Carol! In 1959 the closest thing to a garden magazine at my parents' house was the freebie Scotts newletter, focused on types of lawn seed and lawn care. Your Horticultures would be more fun. I would like to see any of us garden in a full skirt like that. I is fun to see how life was in the year we were born. Happy birthday (the 21st), Carol. Ready to party next time? This is such fun to read old magazines and books. I enjoyed your post and it reminded me, that I found and old Polish book about gardening in communist time- have to go back and have a look again. I made a note on GBBD on initial post - was it the right place? At my computer it is the 21st of Jan. so happy birthday Carol. On that day you were in a big rush to get here, probably didn't want to miss the start of the gardening year (lol). Treat yourself to a birthday gift - order some plants. How interesting these old magazines are. I have a few old gardening books that are fun to look through. It is amazing how much gardening in this country has evolved in the last 50 years. An interesting and fun post, Carol. I see that your sisters are wishing you a Happy Birthday and I'd like to join them in sending best wishes. Your dreams of May will be here sooner than you think ! We have a neighbor two doors down who still cuts his grass in a 3 piece suit -complete with a tie. He is close to 90 now. Happy Birthday Carol! I'm going to over to my blog now to post pictures of you and Sophie from your birthday lunch! Oh, and by the way, Carol. Don't even think of going over to my blog and deleting the pictures - I'll just repost - LOL! Neat - especially the Push Button Garden Protection! Those chemicals were going to make garden drudgery and disappointment a thing of the past. I have some older magazines (1930s) advertising the health benefits of smoking cigarettes. I tossed all my old (1970s) Horticulture magazines a few years ago when I decided they were taking up too much space. :-( Now, of course, I wish I hadn't. This was a fun post. While I am glad that gardening wear is a little more casual and relaxed, I do wish that some of my neighbors would wear more of it when they work in the yard. We've come a long way baby, but it isn't all necessarily to the better as far as I'm concerned. Happy Birthday Carol! I hope you have a wonderful year! 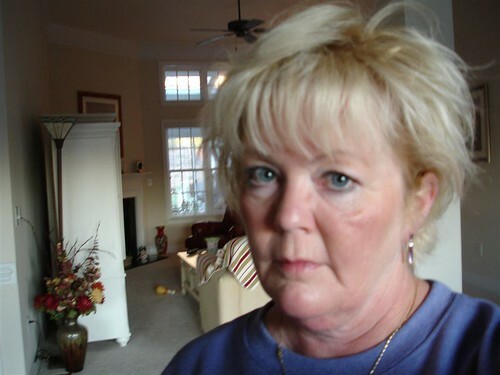 Carol, your posts are always so interesting and fun to read. Reading your blog is like visiting with my favorite neighbors next door. Happy Birthday! Like you I missed the trip by just about 48 years! Looking at the old pictures you realize it was a completely different world. Another time, another place. I so enjoyed this post. I love reading about gardening in other times. What really amazes me about the 50s were the chemicals they used. I have some old gardening books, and you can tell chemicals were the new things. What an interesting look at 1959. And I see Jackson and Perkins was offering "exciting new" roses that quickly went off the market -- even then. Happy Birthday! Years ago I had a friend that had all of the copies of Mother Earth News, as far back as they went, and she was moving and throwing them out. Of course, I couldn't let that happen...so, I have one bookshelf dedicated to them. I really don't have the room. but they are so interesting! Happy Birthday Carol!!!! 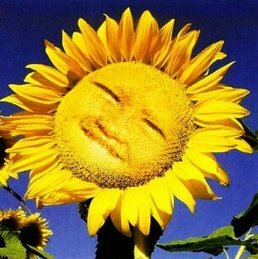 I hope you are out eating ice cream and receiving packets of seeds and other garden related gifts for your birthday. Very cool! I wonder what was happening in the gardening world in September of 1957? It is interesting to see what changed and what has not. I have a bag full of 1970's Organic Gardening Magazines stored somewhere in my parents attic. I was thinking of getting them out the other day. Now, where did I put them? 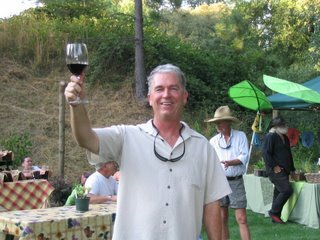 Wow, thank you to everyone for the nice comments and birthday wishes. I'm glad you enjoyed this look back, "a few years". I think back then Horticulture came every month, not every other month, so there were still as many pages per year, even though individual issues weren't as large. I see plenty of gardening ads today where the models are dressed in clothing I wouldn't consider practical for gardening. A woman wearing skimpy clothes and equally skimpy sandals with a shovel in her hand, for example. So I wonder if those ads really portray what people wore to garden, or just an image the advertiser wanted to portray. 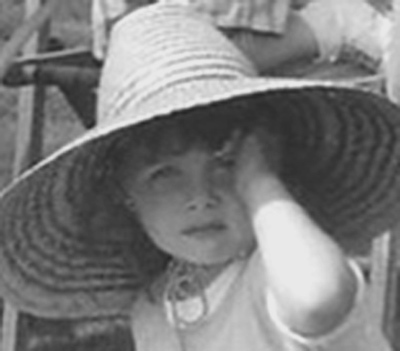 Although people were more formal back then, and thinking back to what Katharine White wore in the garden, perhaps they did dress like that. Happy (belated) birthday to you Carol, hope you had lots of fun.